I dont take too many commissions anymore - usually only if it is for a friend, the price is too good to turn down or if it is something I REALLY want to do. Well this covers the first 2 of those bases.....mabey a little of all three. I have a son who loves skeletons and zombies and who, at 4 years old, is already eyeing up Daddy's little statues. Someday he will likely want to play some version of Warhammer and I figure that when that day comes undead will most likely be the choice. Well good news for me! 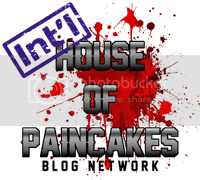 Now I dont have to :) WOOHOO!!! 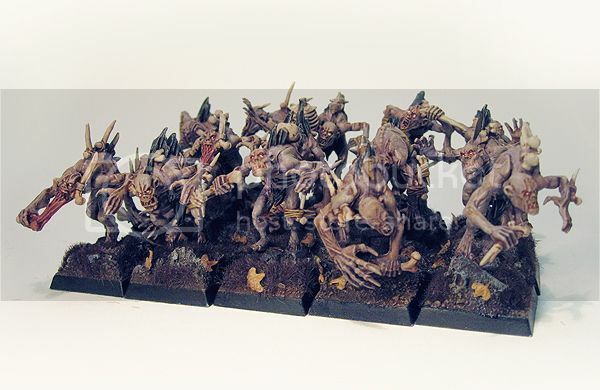 A few years ago my buddy Stefan Grambart painted up a beautiful undead army, even won some awards. Time goes on, styles and priorities change and the majority of the army moved on to another friend.... a friend whose first love in miniatures is his SOB army, a friend who enjoys playing but doesnt really like to paint. Now that they are mine, my son will have an incredible army all ready to go, just add whatever hero or monster or super kick @$$ new model is the flavour of the day! I used GW scab red and VGC bloody red over Chaos Black undercoat. The metal is Tin Bits overbrushed with with Boltgun metal and washed with AK interactive track wash. The numbers are dry transfers. There really isnt that much more to it - just technique and application (OK...a little weathering powder and graphite too but really....) This was an exercise in efficiency of colour - I wanted to make it look as good as I could without straying from the colour scheme he had already established in his other troops. In the end I think they look pretty darn nice! 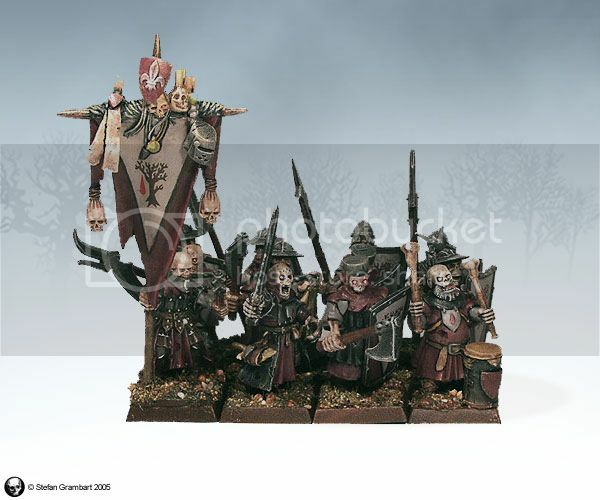 They will certainly spruce up the overall look of his army on the table, will show well in tournaments, and will add the focal points that can sometimes be lacking in a Sisters Of Battle army. An added note for those who are looking closely - yes these are all built on the OLD Rhino chassis. There are 3 Rhinos, 3 Immolators and 2 exorcists. The exorcists are early kits sold directly from GW (seriously!) 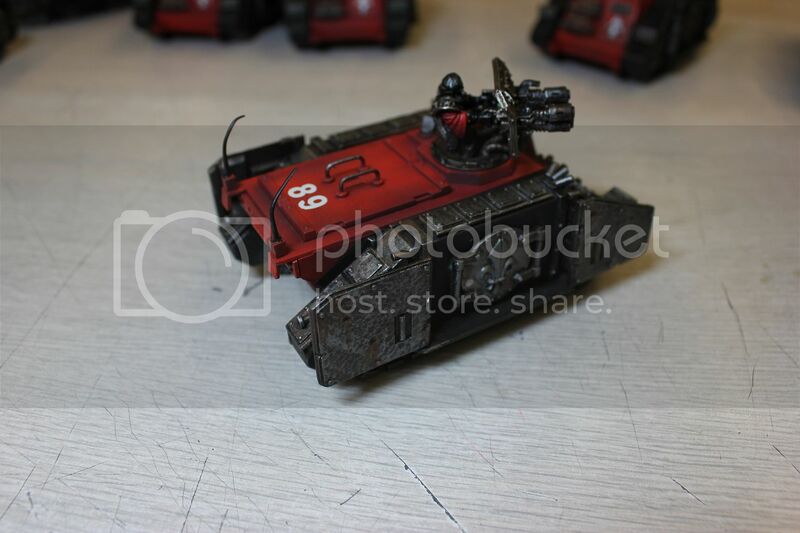 which are one of the worst kitbashes of parts ever concieved. 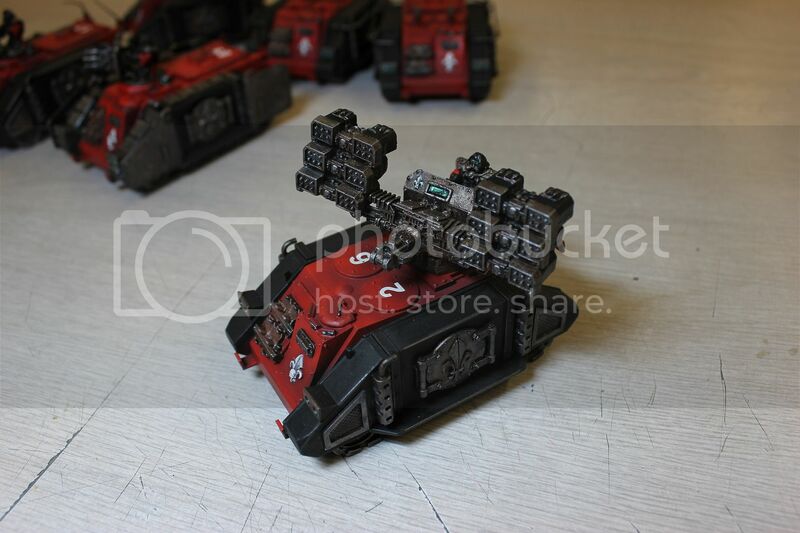 They use razorback parts, necron gun parts, rhino ablative armor panels and a whole whack of terminator missile launchers. These things were a nightmare to assemble!!!! That being said they are very distinctive looking and menacing so - mission accomplished? 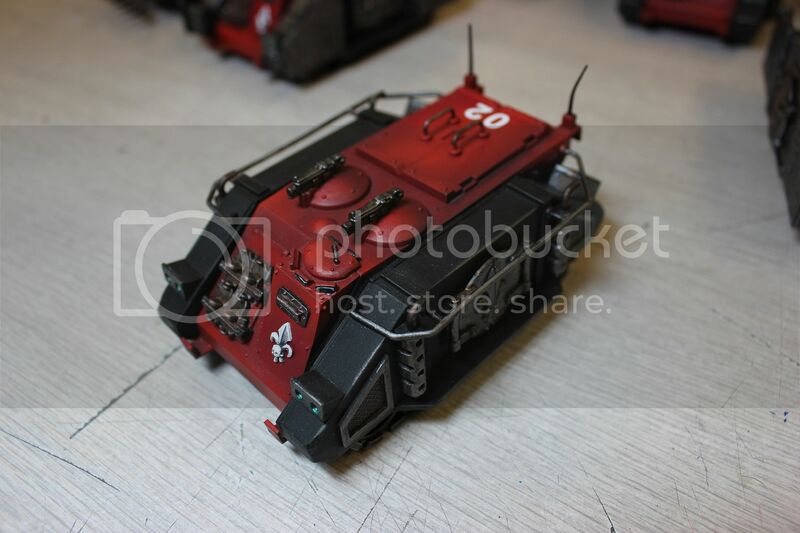 The thing I really like about this whole force of tanks is the variety of extra armour panels Greg has used on them along with the inclusion of the Sisters metal front hatch and side hatches on them all. They feel unified but each feature distinctly unique details. 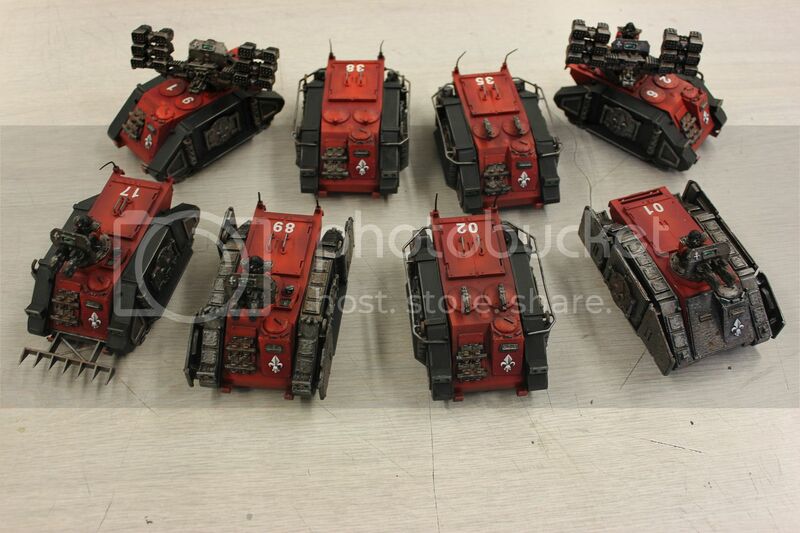 I don't know what the Sisters call them but your Whirlwind-esque tanks have six cyclone missile launcher bits per tank. Are those metal too? Definitely different and old school. Also probably not cheap to have done now or back in the day.